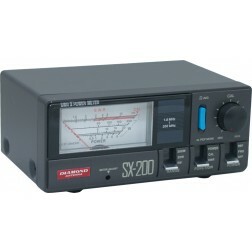 SX20CR Wattmeter, cross needle, Refurbished. The SX100 measures forward and reflected power and VSWR. Compact size makes meter useful for testing both base and mobile installations.